The "Selasse" got disabled on Lake Saint-Pierre off Yamachiche, Quebec, after the main engine overheated because the sea water system was blocked by ice in position 46 15.225 N, 072 42.762 W, on Feb 10, 2019, at 10.50 p.m. The vessel anchored, took on ballast water, and the crew made adjustments to the cooling water systems. The vessel proceeded to Trois-Rivieres Harbour for repairs. 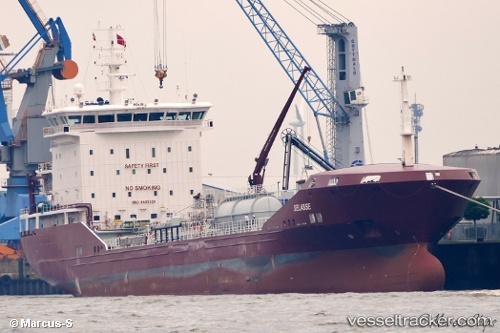 The tanker sailed from Pointe aux Trembles on Feb 10 and called at New Haven, on Feb 16 at 4 p.m.
A Cambodian-flagged cargo ship, Omega Livestock, crashed into Turkish-flagged tank ship Selay-S at north Turkey's Marmara Sea early Tuesday. Omega Livestock, en route Syria from Romania, collided with Selay-S off the coast of Sarkoy in northwest Turkey. The crash left financial damage but no casualties, the officials said.